Nothing ignites archaeological and historical curiosity more than an unexpected and mysterious discovery. A secret room uncovered by researchers at a Bronze Age temple in Sidon, Lebanon, is such a find. Buried within the ruins of the temple, a “deeply concealed room” was found by a delegation from the British Museum in 2015, writes the The Daily Star . The walls of the hidden underground room were “monumental”, almost 15 feet (4.5 meters) high, and the floor was 24 feet (7.5 meters) below ground. The room, believed to be an extension on the ancient temple, held pottery and wooden vessels and utensils for eating and drinking, as well as artifacts for rituals and celebrations. It is thought that it may have been reserved for high-status people of the community. The Daily Star reports that a previously discovered chamber at the Sidon’s Frères archaeological site, dubbed “holy of holies,” dates back to 1300 B.C., and researchers believe it was where the ancient community worshipped their gods. The mysterious subterranean room is adjacent to this. Head of the delegation, Claude Serhal Doumit, says the find is significant, announcing, “Sealed by the imposition of a Persian period building constructed on top of it, this new room is of the highest importance in terms of its monumentality and untouched pottery material, both [domestically produced] and imported from Cyprus and Mycenae,” in a statement released by the delegation. Later excavations also revealed a model tabernacle, incense burners, and more artifacts used in ancient banquets. Serhal explained , “Active feasting activity took place within the temple as shown by the quantity of local pottery as well an assemblage of Greek banquet wares, including plates manufactured exclusively for export to the Orient.” Serhal also said that the charred altar found in one of the rooms unearthed at the site was likely used in animal sacrifice rituals. Sidon is an ancient city in Lebanon which has been inhabited since early prehistory by various cultures. The Frères’ archaeological site is known for revealing a wealth of artifacts, ruins, and historical information. Excavations have been ongoing at the Frères archaeological site for almost 20 years. 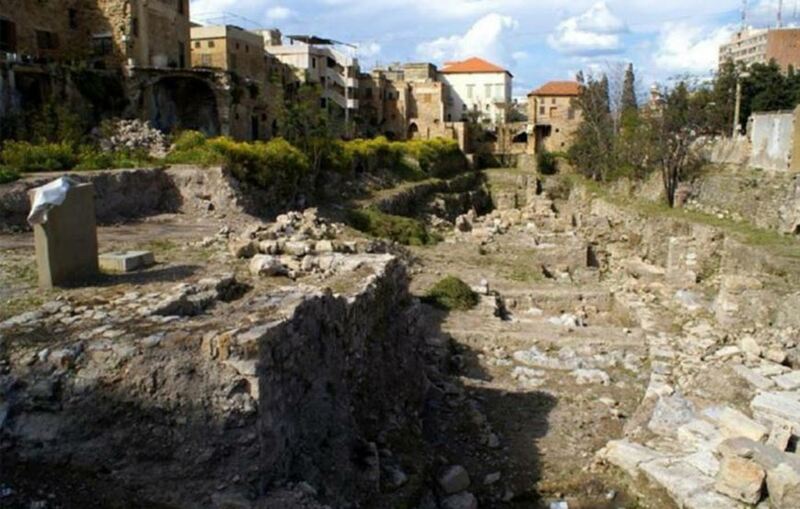 Researchers have recovered various ruins and artifacts, retelling the tale of the history of Sidon and the cultures of the people who lived there. The most famous relic uncovered is the Alexander Sarcophagus, a late 4th century BC Hellenistic stone sarcophagus adorned with bas-relief carvings of Alexander the Great, which was unearthed at the necropolis near Sidon in 1887. In 2011 , many striking artifacts were discovered, including “a sacred musical instrument from the Iron Age, the head of a Phoenician figurine, a ring from the Roman age, and a large storage room for wheat from 3,000 B.C.” The ancient sistrum, a musical rattle, featured the face of Hathor, Egyptian goddess of beauty, fertility and music. A new national museum is in construction at the archaeological site. The various ancient civilizations of Sidon and their artifacts dating back to 3000 B.C. will be highlighted. A subterranean path is planned by the museum to showcase the newly discovered ‘hidden room’. If this was discovered in 2015, why is it reported now? Ahhh yes, the nun’s room !